Aoi Promotion, GAGA Corporation Inc.
A Japanese couple stuck with part-time jobs and hence inadequate incomes avail themselves of the fruits of shoplifting to make ends meet, due to their poverty situation. They are not alone in this behaviour. The younger and the older of the household are in on the act. The unusual routine is about to change from care-free and matter-of-fact to something more dramatic, however, as the couple open their doors to a beleaguered teenager who was facing a terrible glacial cold in the street. The reasons for the family and friends' habit and their motivations come under the microscope. 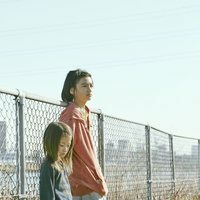 New film by the acclaimed Japanese filmmaker Hirokazu Kore-eda ('Like Father, Like Son'; 'Nobody Knows'), that won the Palme D'Or in Cannes 71st edition. 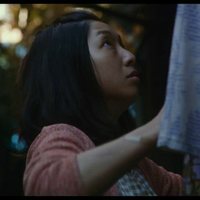 Write your own 'Shoplifters' review. The film won one of the most prestigious awards in the world: the Palme D'Or for best picture in Cannes 2018.